Woodland Park Zoo Blog: Science is a journey of discovery. Begin yours at the zoo. Science is a journey of discovery. Begin yours at the zoo. One of the perks of my job is the daily reminder of the many pathways to science and discovery at the zoo. Each of our 300 animal species, and thousands of plant species, has a unique biology and story reflecting the way it, like millions of other creatures, has found to survive on Earth. Likewise, I’m reminded of how zoo visitors’ journeys of discovery can lead to personal insights or new knowledge, or even open pathways to careers or timely innovations. Every day, I get to watch thousands of young people, teachers and families begin this wondrous trek. As a leader and as a scientist, I am privileged to engage our community in building pathways to a sustainable future. In many ways, today’s youth are ahead of the rest of us in recognizing the challenges our world faces, and they are looking for ways to begin designing lasting solutions. Of the 15 global challenges identified by the Millennium Project, many require biosciences to respond to big questions with innovative solutions. How will we feed the world’s people while maintaining forests and functioning ecosystems? How can we achieve sustainable development while simultaneously avoiding the climate disruptions that will occur without alternative energy solutions? How will we improve health for humans, domestic animals and wildlife against the spread of pathogens and infectious diseases? Scientists are studying how mosses conduct water, nitrogen and nutrients while also repelling damaging organisms for clues to sustainable innovations in building construction, agriculture and materials science. 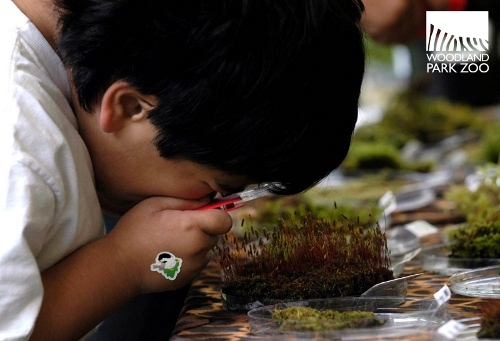 A young learner in Zoomazium’s Nature Exchange gets up close to examine this plant’s intricate and fascinating system. Photo by Ryan Hawk/Woodland Park Zoo. Half a century ago, these kinds of questions were just beginning to register. Since 1970, Earth Day and other efforts have been helping to increase public awareness of them. Over the course of his career, Pulitzer prize-winning Edward O. Wilson began observing a great knowledge shift and eventually proclaimed that the 21st Century would be the century of biology. Move over physics. Living systems perspectives and knowledge synthesis are yielding new ways of defining problems and the tools to address them. Because evolution has been at work for a long time, nature itself is a great place to learn about new ways to design the future. Emerging fields such as sustainability engineering, personalized medicine and biosecurity, to name a few, are generating breakthroughs in the life sciences and related technologies. These fields are eager to embrace well-prepared thinkers and doers who must master new insight processes that emerge at the intersections between areas of inquiry we know today. 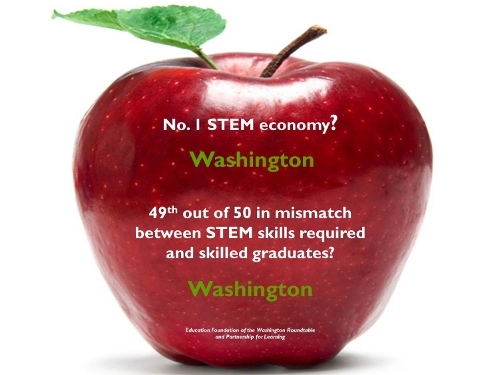 Source: Education Foundation of the Washington Roundtable and Partnership for Learning. But is our workforce future-ready? Our nation suffers from a shortage of well-trained graduates in the STEM disciplines—science, technology, engineering and math. Although Washington state leads the nation with the highest concentration of such jobs, it is near the bottom of states in producing people qualified to fill them. Employers and educators, policy makers and parents agree that getting young people hooked on science early, and keeping them connected through middle school, high school and the undergraduate years, are among the strongest factors influencing careers in STEM. 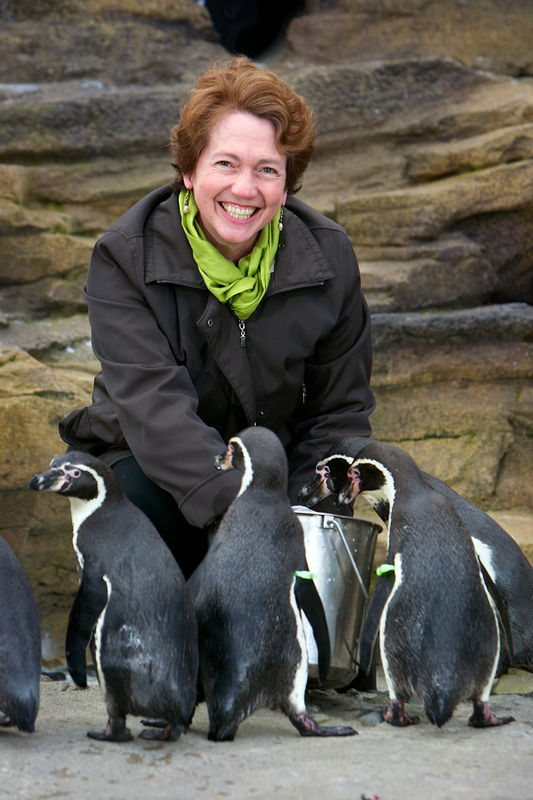 Woodland Park Zoo offers a host of resources and programs for K-12 learners that augment classroom curricula with hands-on science inquiry and nature experiences. 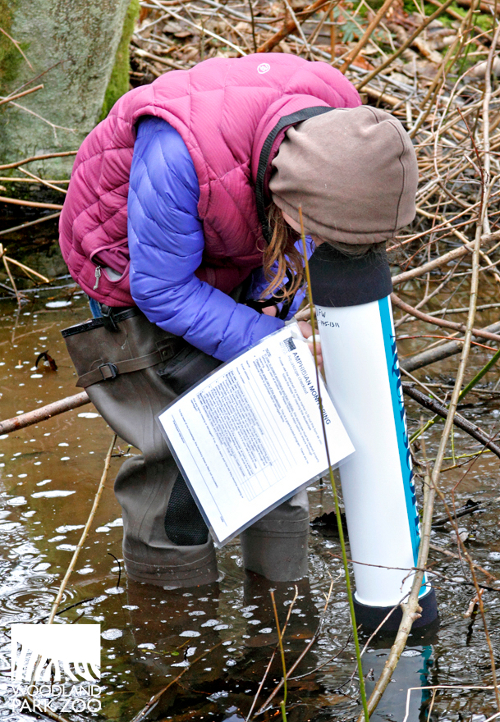 These are designed to help students meet Washington’s Essential Academic Learning Requirements in science and other subjects, as well as Environmental and Sustainability Education Standards. Photo by Ryan Hawk/Woodland Park Zoo. 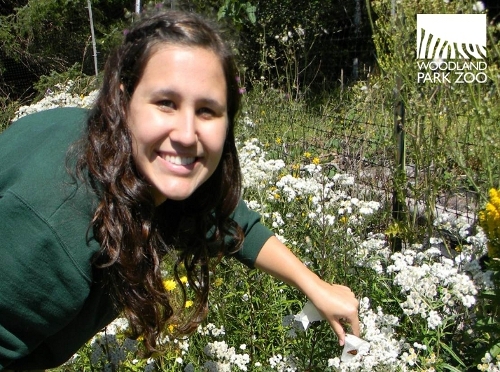 One of hundreds of ZooCorps teen volunteers and interns, Autumn has conducted research on the threatened Oregon silverspot butterfly as part of our Northwest Native Species Recovery program. She is now ecstatic about pursuing a degree in veterinary science. Photo by Erin Sullivan/Woodland Park Zoo. The zoo and its partners bring diverse science and conservation topics to the public, including training adults and youth as citizen scientists through the amphibian monitoring program. Here a young person surveys egg masses of native amphibian species to prevent them from disappearing from our landscape. Photo by Dennis Dow/Woodland Park Zoo. School classrooms are important venues for science learning, but constitute only a portion of the STEM learning ecosystem. 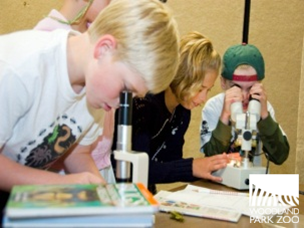 Much learning occurs outside the classroom, in science-rich institutions such as Woodland Park Zoo, in parks, and in numerous natural spaces families use to spark kids’ excitement. With hands-on living classrooms, after-school partnerships, citizen science and teacher educations programs, zoos sow the seeds of curiosity for millions of people, helping them acquire and practice scientific skills. Many scientists, including myself, will tell you that zoo experiences ignited their interests in the careers they ultimately chose. ZooCrew, a new after-school outreach program, flexes middle school students’ science and problem-solving skills by engaging them in real STEM projects with mentors from our Education, Animal Care and Conservation teams. One such project looks at wolf ecology and how our wolves use their habitat. Photo by Woodland Park Zoo. 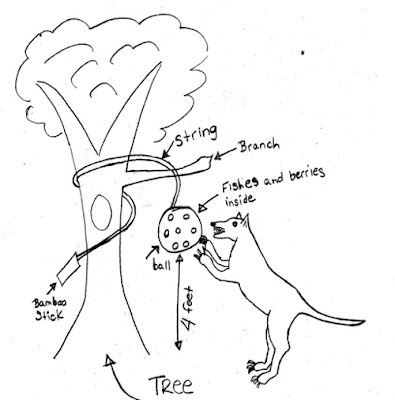 In one activity, ZooCrew students use the engineering design process to create solutions for animal enrichment. They ask: what materials are suitable for a particular species? 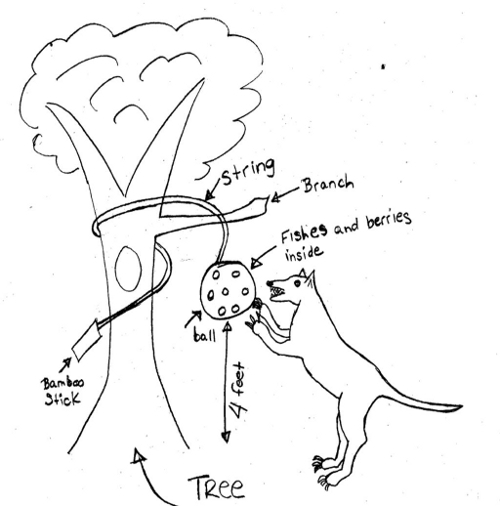 Will a pulley or string work best? Then they prototype, design, improve and finally present finished products to their clients, in this case our wolves. 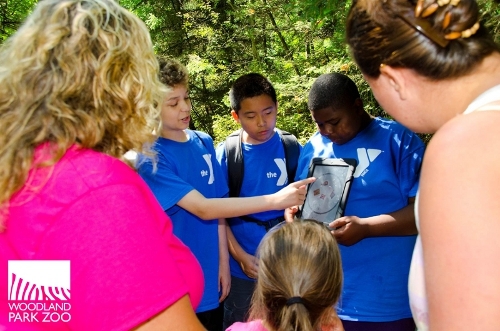 Combining digital technology with staff mentoring, ZooCrew students learn how to present to and even collect data from zoo visitors on their STEM subjects, all of which fosters interest in careers in science and conservation. Photo by Ryan Hawk/Woodland Park Zoo. Because demand for these skills will only increase, informal science centers must play an even more vital role in the STEM ecosystem. Thus I’m pleased to tell you that Woodland Park Zoo, Seattle Aquarium, Burke Museum, IslandWood, Museum of Flight and Pacific Science Center have joined together to create the Informal Science Education Consortium. By leveraging the power of our collaboration and strengthening school partnerships, we’ll reach more Washington youth with hands-on, inquiry-driven science learning than any of our institutions could do alone. We look forward to engaging you in our strategy and success stories in the coming months. Walking through the zoo each day, I think about the interconnected layers of life that envelop the planet we call home. I think about how building a future our children will be proud to inherit requires new ideas and creative approaches. As millions of youth begin their science journeys at zoos each year, I know we will have lots of help to build a sustainable future for animals and people. This is undoubtedly the best letter from Dr. Jensen that I've seen published to date. Intersting,informative and engaging.